While I was making this sauce, I was remembering the times as a child that I had stood on a chair in my Grandmother’s kitchen helping her make marinara sauce to go over spaghetti. Of course she was using tomatoes (often fresh tomatoes out of her garden). And she was serving it with regular, gluten-filled pasta, often topped off with some grated cheese. All things that I cannot eat now that I am Celiac and following the Autoimmune Protocol (AIP). But back then, when I was maybe 5 or 6 years old, I used to love helping her chop onions, garlic and tomatoes while sat at her long, wooden kitchen table that was set in front of her old-fashioned, cast-iron range. Her kitchen was probably one of my favourite places. It was always warm and bright. The table clean, the terracotta tile floor swept and scrubbed. She had brightly coloured towels and hand-made pot-holders hanging by the range. It was fragrant with the smells of cooking – tomatoes, onions and of course herbs. She always had bunches of herbs hung to dry over the range. And she usually had a pot of broth bubbling on the range as well. Once the veggies were chopped, we would add some oil to a big pot, and then the veggies would go in – first the onion, then the garlic, and finally the tomatoes. Then a big ladle-full of the broth would be added and some herbs – basil, thyme and oregano most often. Sometimes a bit of rosemary too. And then I would stand on a chair in front of the range, wearing an apron made from a tea-towel, and I would stir the pot as it bubbled and thickened, adding it’s own delicious aroma to the smells in the room. I think cooking with Nanny, as we called my Grandma, is one of my fondest memories. This marinara sauce, while not quite the same as Nanny’s, is just as fragrant and just as delicious. 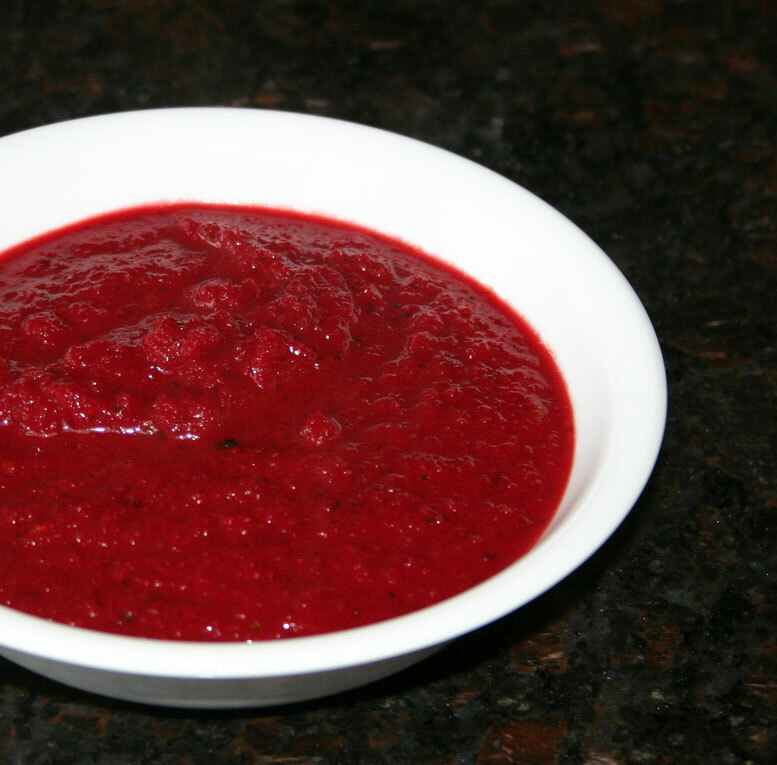 I have used beets and carrots to give the familiar red colour of a marinara sauce without having to add tomatoes, which are a nightshade and therefor banned, in at least the early stages, of AIP. I also add some grated fresh turmeric root – it not only provides antioxidants and an anti-inflamatory boost to the sauce, it also helps to change the colour from a bright pinky-purple beet colour to one that is closer to a rich tomato-based marinara sauce. And, of course, it has all the usual aromatics – onions, garlic and herbs. Heat the coconut oil in a large pot over a medium low heat. Add the onions, and stir for 5 minutes until starting to soften. Add the garlic and celery, and cook for a further 5 minutes. Season to taste with sea salt and simmer gently for 20-30 minutes until the vegetables are tender. Puree the sauce with a food-processor or a blender until it is smooth. Return the sauce to the pan, and simmer gently until it is thick and rich. Taste and adjust seasoning with sea salt and balsamic vinegar. This sauce will keep for 7 days in the fridge, and can be used wherever you would normally use a tomato-based marinara sauce. This entry was posted in Autoimmune Protocol Foods, Recipes and tagged "pasta" sauce, AIP, Autoimmune Protocol, beets, herbs, marinara sauce, nomato sauce, paleo. Bookmark the permalink. This is the sweetest story about you and you Grandma cooking together, what wonderful memories you must have. I only hope that I am passing along memories like that to my family. 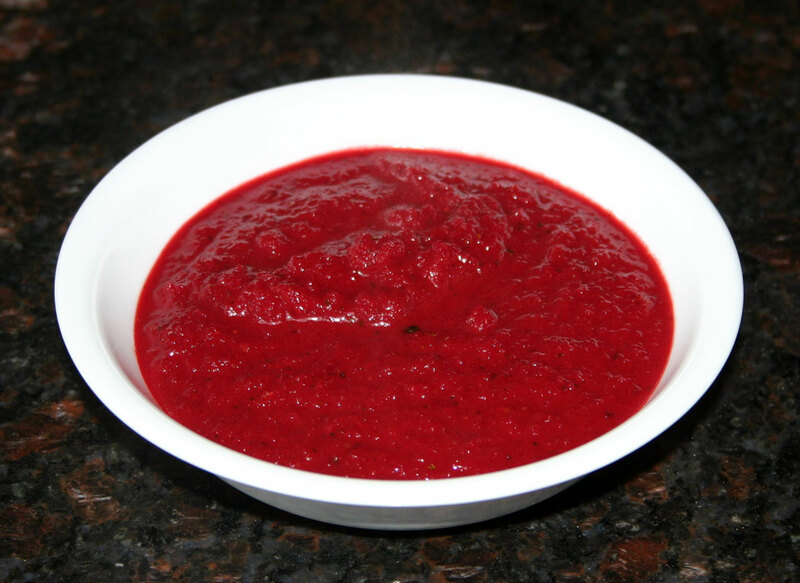 This is a wonderful Marinara Sauce and the beets are a great way to use that color. Thanks so much for sharing with Full Plate Thursday and hope you are having a great weekend. This is fascinating. I’ve never tried this. Thanks for posting. Hello from Waste Not Want Not Wednesdays. Great recipe. Any ideas for a beet substitution?